Our population health management solutions comply with the highest industry standards and best practices. Facilitates security, interoperability and trust among Direct exchange participants, fosters public confidence, and otherwise promotes the adoption and success of directed exchange through the promotion of policies and best practices for security and trust, consistent with state and federal law, for the purpose of improving the quality of health care through secure electronic exchange of health information. This includes Health Information Service Providers (HISPs), Certificate Authorities (CAs), and Registration Authorities (RAs) that have achieved EHNAC DTAPP Accreditation and met the requirements described by this document. This bundle assures that all anchors and associated end-entity certificates represented are in use by an EHNAC-DirectTrust accredited HISP. The DirectTrust Accredited Trust Anchor Bundle is facilitates interoperable Direct exchange between HISPs in a uniform and scalable manner that is consistent with industry best practices for security and trust, thereby avoiding the need for further one-off negotiations between relying parties who are participants in the bundle. Currently there are no limitations that a user may encounter in the course of implementing and using the Jiva PHR Release 2015. This Health IT Module is 2014 Edition compliant and has been certified by ICSA Labs in accordance with the applicable certification criteria adopted by the Secretary of Health and Human Services. This certification does not represent an endorsement by the U.S. Department of Health and Human Services. 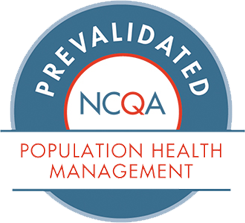 We are proud to announce that Jiva is among the first population health management (PHM) platforms in the nation to earn PHM Prevalidation status by the National Committee for Quality Assurance (NCQA) in Health Plan Accreditation (HPA) for 2018-2019 standards. With this Prevalidation, our clients will benefit from reduced burden for HPA, Population Health Program (PHP), Managed Behavioral Health Organization (MBHO), or Case Management (CM) accreditation elements designated as eligible for automatic credit or plan support. Because Jiva has been rigorously tested and proven to ease administrative workload, organizations invested in our solutions will regain precious time to focus on patient-centric care and the improvement of overall health outcomes. 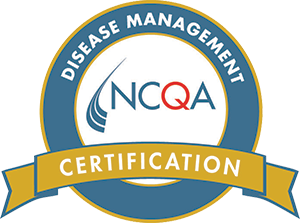 ZeOmega has received certification from the National Committee for Quality Assurance (NCQA) under the Disease Management System Certification process. The certification includes ten disease programs: arthritis, asthma, coronary artery disease (CAD), heart failure, chronic obstructive pulmonary disease (COPD), depression, diabetes, hypertension, renal disease, and stroke. The certification indicates that a disease management (DM) program has passed a voluntary, rigorous review process. It includes design of clinical information systems to support DM, such as those used to identify patients. 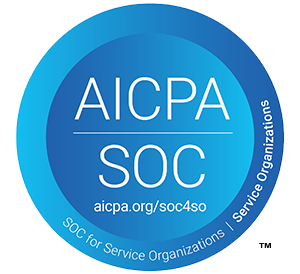 Certification standards are intended to help organizations achieve the highest level of performance possible, reduce patient risk, and create an environment of continuous improvement. The National Committee for Quality Assurance (NCQA) has certified Jiva™ for ten Healthcare Effectiveness Data and Information Set (HEDIS®) 2018 Measures. This doubles the number of Measures for which Jiva was certified in 2017. Health plans can leverage Jiva’s reporting tools to monitor HEDIS data and address performance gaps across these HEDIS 2018 measures in real time. HEDIS reporting, required for NCQA Accreditation, enables employers, consultants, and consumers to evaluate and compare the performance of health plans in areas ranging from preventive care and consumer experience to heart disease and cancer. Since its introduction in 1993, the HEDIS has evolved to become the gold standard in managed care performance measurement. Users of the platform can use Jiva tools to identify certain performance gaps related to HEDIS measures and address them prior to year-end evaluation. The Sequoia Project—an independent advocate for the implementation of a secure, interoperable, nationwide health information exchange (HIE)—has validated Jiva™ HIE Connect 6.0.2 for use with the eHealth Exchange. The Sequoia Project developed the eHealth Exchange Product Testing Program to provide a high degree of assurance that participating systems conform to eHealth Exchange Performance Specifications and can interoperate with other systems without error or further customization. Having successfully passed the eHealth Exchange Product Testing Program’s rigorous conformance test, Jiva HIE Connect can now exchange data with the largest HIE in the United States.